Britians Objective in WWII - Soviet-Empire.com U.S.S.R.
Well... I had an intereting argument with one of my friends the other day. They pointed out that Britian LOST WWII because they failed to liberate Poland, which got them into the war in the first place. Poland went from the Third Reich to the USSR, and was never given its own country after the war. I argued that Poland was freed, as it was freed from oppression. Only then did Britain really wake up. in fact, France and Britan could have crushed Nazi Germany while it was attacking Poland in a mere few weeks. They could have not. First they would have to break trough the Siegfried Line, and Britain did not have the troops needed to participate in September 1939. What the the main failing of the French Army was in terms of their communication, and the speed at which they could get the things going. What the entire French Army was lacking was the a clear idea of how such an attack would be carried out. It took something like 36-48 hours for orders to get from French Army HQ to the front. At the pace that the Germans intended to proceed, the French command didn't stand a chance unless their field commanders where willing to exercise a lot of indpendant initiative. However, the French way of waging war was very centralized with the top commanders wielding a lot of authority, and Junior officiers unable to exercise much initative. 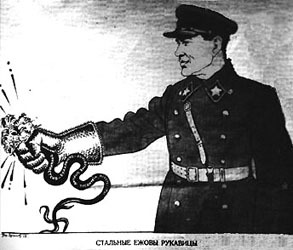 Before you start talking about imperialism you are free to look at the Soviet Union's actions before 1941. You clearly haven't heard of the British Expeditionary Force. Britain did not even care the least. What the entire French Army was lacking was the a clear idea of how such an attack would be carried out. Nya-nya. The French Army had plans for assault as well as many other plans - it's common for militaries to have plans for all sorts of things. However, the French leadership did not want to attack Germany. The soldiers were specifically "avoiding provocation" and simply drinking wine on the front lines, waiting for the government to settle matters with Germany. The problem is, the French didn't even take action. At least, they did not do what they promised. At Franco-Polish negotiations of 14-19 may 1939, France promised Poland in case of Hitlerite agression "to start a main total offensive on Germany on the 15th day of mobilisation". The Anglo-Polish negotiations of 23-30 may 1939 resulted in Britain assuring Poland that it would lend 1300 war planes for the Polish Air Force and bomb Germany immediately in case of a war. None of this was done, obviously. At Saarbrucken, the French painted giant posters "We will not make the first shot in this war!". On many border posts the French and German soldiers visited each other, exchanged food and drinks! The French Northen Front against Germany had the following ratios: manpower 3,2:1, artillery 2:1, tanks - 2850 to none, aviation (including the British AF) 1,8:1. The Germans would be utterly smashed, but... the French just didn't want to take any "provocative" action. On 12 September the French stopped all actions on the Franco-German border due to "fast development of events in Poland". After Poland collapsed, they felt everything's okay and can be settled without much problem. The 12 September decision in Abville effectively ended any hopes of offensive against Germany; the promises made to Poland before were forgotten with a wave of the hand. The betrayal was complete. Churchill himself noted after the war: "Munich and a whole lot of other actions have totally convinced the Soviet government that neither Britain nor France would fight unless assaulted directly, and even in that case there'd be little use of both of them". ... we could never, neither in 1938 nor in 1939, hold out against an all-out assault of these countries [France and Britain]. And if we were not defeated in 1939, it was only due to the fact that 110 Franco-British divisions on our border during the war with Poland against our 23 divisions remained completely inactive. You evaded the point. Beforehand, Britain and France consciously rejected Soviet proposals. Since there's little you can do in the face of this fact, you proceed to evade the point by speaking of USSR's later actions. Where's your point about the rejection of Soviet common action proposals? Oh right, there's none. On 12th September 1938 Chamberlain said the following: "Germany and Britain are the two pillars of the European world and main strongholds against communism, and therefore our current difficulties should be resolved by peaceful means ... It is certain that a solution could be found that would satisfy everyone - except Russia". "1. Britain, France and the USSR sign a treaty for 5-10 years for mutual aid, including military aid, in case of an agression against any of the states in Europe. 2. Britain, France and the USSR take on obligations to offer all aid, including military aid, to Eastern Europe states between the Baltic and Black seas bordering on the USSR, in case of an agression against those states. 3. Britain, France and the USSR take on obligations to settle the extent of the military aid provided by each of the states in the execution of #1 and #2. 4. The British government explains to the Polish government that the aid promised only takes into account German agression. 5. The Romano-Polish pact is proclaimed active in case of any agression against these states, or dismissed entirely as directed against the USSR. 6. Britain, France and the USSR take on obligations after the eruption of hostilities to make no negotiations and peace treaties with agressors separately and without the agreement of all three participants. 7. A treaty is signed according to the convention produced according to #3. 8. Acknowledge the need for Britain, France and the USSR to make collective negotiations with Turkey on the matters of a special mutual aid agreement." Only on 25-26 July the governments decided to start negotiations. However, the negotiations started on 12 August turned out to be a foolish farce - the French delegation with general Dumenc had no rights to sign any treaty whatsoever, and the English delegation didn't have any written authorities at all! The British government does not wish to take on any obligation whatsoever that could tie our hands in any way. Therefore, in a treaty we have to pursue the most general and vague phraseology. No, I have. The problem was it's inaction. How did it happen that the Germans took action against France well a few month after the Polish campaign, and not the other way round? Phony war is also a fact, and there's no room for wiggling there. Carios, One German genaral stated that all the allies would of had to do was send two police man and a pistol across the rhine. Also Hitlers Generals were planning on arresting him when the attack came, but it never did. "Its the ones who are subject to occupation that ultimately get to decide whether it was benicfial or not". german weapons were also superior to french and british, this is a factor too. Never trust a computer you cant throw out a window. One German genaral stated that all the allies would of had to do was send two police man and a pistol across the rhine. And who was this "one German general"? Also Hitlers Generals were planning on arresting him when the attack came, but it never did. Partly, but this would not have been a decisive factor. Poland was merely a pretext for the French and British to declare war on Hitler. British policy since the days of the Spanish Armada was to keep a balance of power on the continent of Europe. If any one nation attempted to gain control of Europe, Britian would move against them. This happened to the Spanish, the Dutch, the French, and the Germans (in WW 1). If you consider that Britian declared war on Hitler to prevent him from dominating Europe, then they were on the winning side. However, Britian's victory came only because she had the USSR and the US as allies, and was not due to her military prowess alone. "We deem it absolutely necessary and urgent that Comrade Yezhov be nominated to the post of People's Commissar for Internal Affairs"
Britain has always done what was in it's best interest. If others along the way happen to gain or lose because of it, so be it. There was no way Britain would allow one country to gain too much power in Europe. Poland was just an ends to a mean. No, the French were superior in both quantity and quality of tanks, the French and the British had a large amount of heavy tanks, the Germans had none. The Char B had armour that most German tanks could not penetrate. As far as artilary the Allies completely outclassed the Germans in quantity although the Germans had more mobile artillary. The allies also had far more aircraft, however most of the Airforces of both England and France were not used during the invasion of France. No. Renault R35, the French main tank had a good armour; 50mm, but it was very slow for a tank that only weighted ten and half tons (top speed 20km in hour), had undermanned crew (two men, driver and commander who not only commanded the tank, but had to use the gun, machine gun and radio, if the tank he commanded was lucky enough to have one), a weak gun and poor logistics (most French tanks had no radio and the optics were poor). The Char B had armour that most German tanks could not penetrate. Which alone doesn't make French or the British superior to Germans. They did not. The Luftwaffe had nearly 5500 aircraft in the Battle of France, while the British and French had less than 3100. Even if the British would have committed all their available aircraft to France (which would have been extremely foolish) they could not have matched the Germans numbers. And most of the German tanks were panzer I's and panzer II's, if you could count the panzer I as a tank. 520 of Germany's 2575 tanks used in the Battle of France were Panzer Is, 955 were Panzer IIs and 1100 were other designs. You should also know that out of the 3385 tanks British and French had 535 were World War I-era French Renault FT-17 light tanks. In any case it made little difference that French and British had more tanks that had better armour and bigger guns than as they flawed in other features or the tactics used to deploy them flawed. if you could count the panzer I as a tank. There's no "if you could count the panzer I as a tank." Panzer I certainly was a light tank. The Allies were still thinking about tactics used in world war 1, They thought of the tank as a support weapon instead of a main weapon. This is one of the reasons why France was over run. Allied tanks weren't effective because they weren't concentrated in large numbers like the Germans. or the tactics used to deploy them flawed. And why were their tactics flawed? Because from the start they were not planning on attacking Germany in a offensive war to save thier Polish allies anymore than they planned on saving their Czech allies that they sold out. But back to the main topic of this thread Englands real goal was the preservation of thier Empire abroad of the preservation of the English aristocracy and thier powere base at home. That why the English tried to appease Hitler so he would counter communism, but then turned on him when they thought he would threaten their Empire and when it turned out that Nazi's did'nt like nobles much more than commies did. No, and that is false. They were and made limited advance into German territory but major offensive in Germany was called off. Their tank tactics flawed exactly because of what M.C.Darkness said. If they were planning on attacking they would not have built the maginot line. *To avoid a surprise attack and to give alarm. *To cover the mobilization of the French Army (which took between 2 and 3 weeks). *To save manpower (France had a population of 41 million, Germany roughly 90 million by the start of World War II. *To protect territory of Alsace and Lorraine which were industrially important for France. *To be used as a basis for a counter-offensive. * To push the enemy to circumvent it while passing by Switzerland or Belgium. The Allies hadn't decided in 1930 that they would not launch offensive in Germany in case of war. The Panzer I was armed with one machine gun and had armour that could be penetrated by a 50 caliber machine gun and its engine barely worked. To protect territory of Alsace and Lorraine which were industrially important for France. Generally you don't need defensive structures when your on the offence. Not a shot was fired while their Polish allies were being slaughters by genocidal maniacs. Still working on it but I can not find them though I will not state it as Carius(and hopefully I have spelled your name correctly) needs to have precise sources cited. But I have found a reliable source for you that I will cite. At the Nuremburg trials, General Jodl said that he had been surprised the Allies did not use their 110 British and French divisions to attack teh 25 divisions that the Germans had facing west. Last edited by Crimson Flag on 02 Jun 2007, 18:57, edited 1 time in total. Two or 20mm gun depending of the model. Some models, and so could most other light tanks of other countries, including Soviet T-26. You apparently did not read all that I wrote. Not a shot was fired.